She may live in the suburbs now, but Kiara is a city girl at heart. 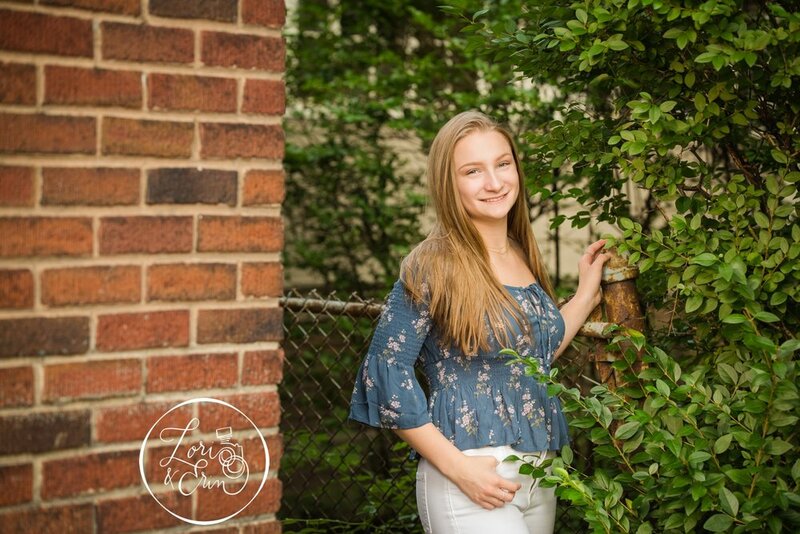 She grew up near Park Ave in Rochester NY and has many fond memories there, so it seemed like a great spot to start her Rochester senior portrait session. When we got to Parkleigh, we were pleasantly surprised by colorful gum balls lining the street. There must be a story about how they got there, but we don’t know what it is. Regardless of the gum balls’ origin story, we used them for the color and the fun, life-in-the-city vibe! Our next portrait location in Rochester was High Falls. Kiara was joined there by her younger sister and best friend for some fun images in the cobblestone street. We ended after dark with her favorite dancing outfits and a beautiful night. This is what summer nights are made for... exploring the area we live in, soaking it all in with friends. Thanks for a fun session Kiara! Enjoy some of my favorites below!